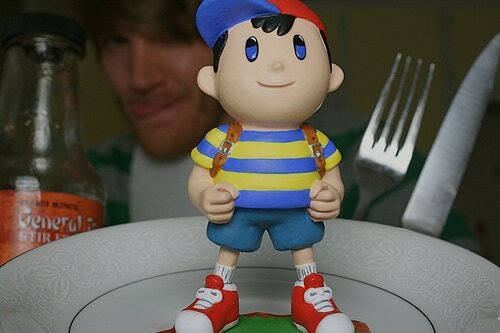 Want to win one of those Meeellla-made Ness figures from a while back? 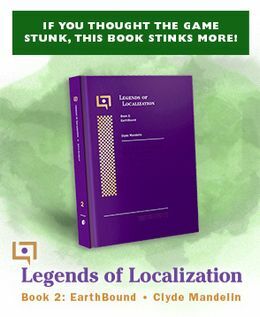 (reference) Then you’re in luck, Fangamer is running a simple contest! Meeellla does some mighty good figures. You can see some more of her creations at her website. 31 Comments to Win a Ness Figure! I JUST entered the contest, and if anybody cares, yes, I do have a Twitter, and it mainly focuses, on my daily life, and all of the crazy stuff I make in my spare time 😛 Yeah, and I apparently, also have a website now! Is there a reason the guy in the background is about to devour Ness?? I’m frightened and disturbed. That guy in the background happens to Reid Young, guy in charge of Starmen.net AND husband of Meeellla. Great… I don’t have a Twitter account and refuse to make one just for this. Yea no offence but im not makeing a twitter account just to win this *awsome! * prize. somebody win this for me… please, I don’t have twitter, and I don’t have phones. and I have a bad history with fan gamer. this screams fail all over for me. so somebody else. please win it for me. I’ll give you my mailing address after you win it for me of course. It’s an excellent figurine, really well sculpted and pictures don’t do it justice :). If you have some hang-up that’s preventing you from entering, then the only person you are disservicing is yourself. It’s your choice, and the chances of winning are going to be very slim by the 9th. But if you aren’t in it, you won’t win it. If you have a bad history with starmen or fangamer, who cares. Use a pseudonymous screen name. The same goes if you have hang-ups about people tracing your screen name back to Twitter or something (and you can make it private). And you don’t have to sign a legally binding contract requiring you to tweet about your supper or bowel movements ;). But anyways, I realize some people have legit concerns about joining Twitter. S’fine, but I’m just saying that it’s literally one of the easiest contests they’ve run for a very highly sought item. I also want to point out that you don’t need a cell phone to use twitter. @Poe, to put this in the politest way possible that I can think of. the world doesn’t need a cellphone to use twitter, but Kyoo does. So you are worried about the government using info you post on twitter against you? I’m sure they could, but retweeting on twitter isn’t going to give the government any kind of useful info that you may have to hide in the future. And I don’t really know how the government would document everything you say on your phone either. And even if you didn’t want to give the gov’t any info over your phone, you could just use Twitter over the internet that you obviously have. And if you are afraid of the gov’t tracking you online then you shouldn’t post on EBC :P. I respect your decision not to get a twitter account and I don’t mean to be nosy (as I’m sure you have your reasons), but it seems that you could post once on twitter if you wanted that Ness figurine. This conversation is weird. Let’s talk about Ness and how cool he looks in this picture. I hope Mr. Young doesn’t eat him. I don’t think that entire bottle of General Tsao’s stir fry sauce will make him taste much better anyway. that Ness sure looks awesome, I’m jealous of the skillz it took to make that. I would so do this if I had a twitter account. I don’t and so I’m out of luck, also it doesn’t make sense to create an account for a contest that I have little chance of winning. I have no twitter account, I don’t have a facebook account cuz who needs one when ya got gmail. Also I dont have a phone or an account in Starmen.net so I have a 0.0% chance of winning this. If it was on eBay I WOULD buy it but I WOULDNT. Anyway, a franklin badge is enough. I got it for $4.00…..on zazzle. After seeing this (and many more of Meeellla’a fantastic figures) in person at PAX East, I am all too eager to enter this contest! WOW Reid looks like John Morris in that photograph. That’s cool. I went to the website, and it looks great. Good job Camille! Where can I purchase one?? No info on her site? She doesn’t sell them directly, they’re usually given out as contest prizes or if she DOES sell her figures, she does it through Fangamer in limited numbers.